9781598535051 | Box edition (Library of America, November 1, 2016), cover price $70.00 | About this edition: A modern Thoreau explores the mysteries of the universe in this deluxe collector's boxed set. 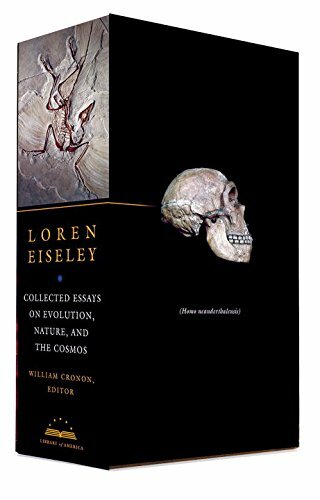 9781598535075 | Library of America, November 1, 2016, cover price $35.00 | About this edition: An eminent paleontologist with the soul and skill of a poet, Loren Eiseley (1907–1977) was among the twentieth century’s greatest inheritors of the literary tradition of Henry David Thoreau, Charles Darwin, and John Muir, and a precursor to such later writers as Stephen Jay Gould, Richard Dawkins, and Carl Sagan. 9780295999913 | Univ of Washington Pr, March 15, 2016, cover price $90.00 | About this edition: The Apostle Islands are a solitary place of natural beauty, with red sandstone cliffs, secluded beaches, and a rich and unique forest surrounded by the cold, blue waters of Lake Superior. 9780295990965 | Univ of Washington Pr, July 5, 2011, cover price $90.00 | About this edition: The Apostle Islands are a solitary place of natural beauty, with red sandstone cliffs, secluded beaches, and a rich and unique forest surrounded by the cold, blue waters of Lake Superior. 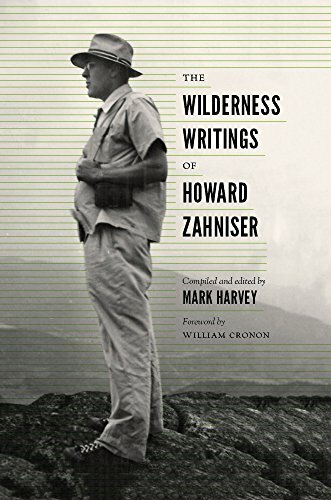 9780295995625 | Reprint edition (Univ of Washington Pr, February 9, 2016), cover price $24.95 | also contains The Wilderness Writings of Howard Zahniser | About this edition: Howard Zahniser (1906â1964), executive secretary of The Wilderness Society and editor of The Living Wilderness from 1945 to 1964, is arguably the person most responsible for drafting and promoting the Wilderness Act in 1964. 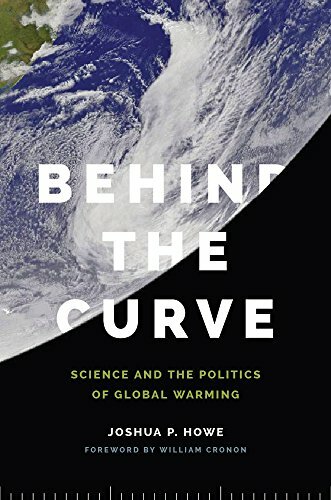 9780295993119 | Univ of Washington Pr, November 18, 2013, cover price $34.95 | About this edition: Before commercial whaling was outlawed in the 1980s, diplomats, scientists, bureaucrats, environmentalists, and sometimes even whalers themselves had attempted to create an international regulatory framework that would allow for a sustainable whaling industry. 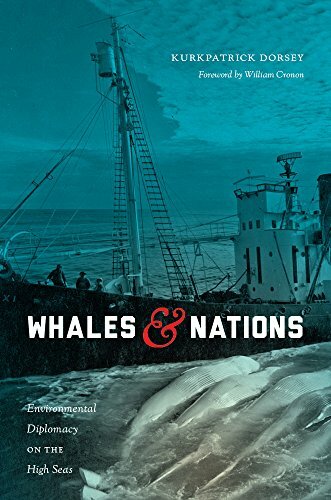 9780295995595 | Reprint edition (Univ of Washington Pr, February 9, 2016), cover price $24.95 | also contains Whales and Nations: Environmental Diplomacy on the High Seas | About this edition: Before commercial whaling was outlawed in the 1980s, diplomats, scientists, bureaucrats, environmentalists, and sometimes even whalers themselves had attempted to create an international regulatory framework that would allow for a sustainable whaling industry. 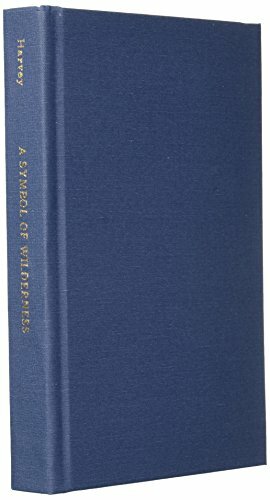 9780295993911 | Univ of Washington Pr, May 27, 2014, cover price $29.95 | About this edition: Howard Zahniser (1906â1964), executive secretary of The Wilderness Society and editor of The Living Wilderness from 1945 to 1964, is arguably the person most responsible for drafting and promoting the Wilderness Act in 1964. 9780295995595, titled "Whales & Nations: Environmental Diplomacy on the High Seas" | Reprint edition (Univ of Washington Pr, February 9, 2016), cover price $24.95 | also contains Whales & Nations: Environmental Diplomacy on the High Seas | About this edition: Before commercial whaling was outlawed in the 1980s, diplomats, scientists, bureaucrats, environmentalists, and sometimes even whalers themselves had attempted to create an international regulatory framework that would allow for a sustainable whaling industry. 9780295994123 | Univ of Washington Pr, August 13, 2014, cover price $34.95 | About this edition: Since the 1950s, the housing developments in the West that historian Lincoln Bramwell calls âwilderburbsâ have offered residents both the pleasures of living in nature and the creature comforts of the suburbs. 9780295995632 | Reprint edition (Univ of Washington Pr, February 9, 2016), cover price $24.95 | About this edition: Since the 1950s, the housing developments in the West that historian Lincoln Bramwell calls "wilderburbs" have offered residents both the pleasures of living in nature and the creature comforts of the suburbs. 9780340860175, titled "Teach Yourself Beginner''s Chinese Script" | Teach Yourself, May 1, 2003, cover price $10.95 | also contains Teach Yourself Beginner''s Chinese Script | About this edition: The Chinese script is a tool with which you will be able to go some way towards understanding Chinese. 9780295993683 | Univ of Washington Pr, February 28, 2014, cover price $34.95 | About this edition: In 1958, Charles David Keeling began measuring the concentration of carbon dioxide in the earth's atmosphere at the Mauna Loa Observatory in Hawaii. 9780295995601 | Reprint edition (Univ of Washington Pr, February 9, 2016), cover price $24.95 | About this edition: In 1958, Charles David Keeling began measuring the concentration of carbon dioxide in the earth's atmosphere at the Mauna Loa Observatory in Hawaii. 9780295998589 | Univ of Washington Pr, September 11, 2015, cover price $90.00 | About this edition: Harvey details the first major clash between conservationists and developers after World War II, the successful fight to prevent the building of Echo Park Dam. 9780295992990 | Univ of Washington Pr, August 28, 2013, cover price $34.95 | About this edition: A "conservative environmental tradition" in America may sound like a contradiction in terms, but as Brian Allen Drake shows in Loving Nature, Fearing the State, right-leaning politicians and activists have shaped American environmental consciousness since the environmental movement's beginnings. 9780295995205 | Reprint edition (Univ of Washington Pr, June 29, 2015), cover price $24.95 | About this edition: A "conservative environmental tradition" in America may sound like a contradiction in terms, but as Brian Allen Drake shows in Loving Nature, Fearing the State, right-leaning politicians and activists have shaped American environmental consciousness since the environmental movement's beginnings. 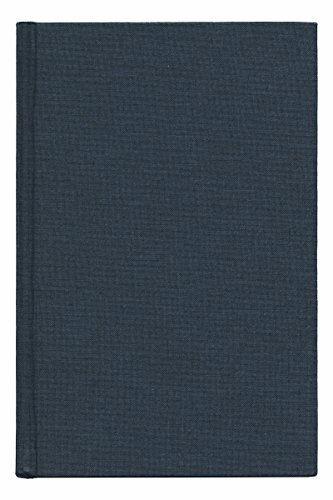 9780295997032, titled "The Environmental Moment 1968-1972" | Univ of Washington Pr, July 20, 2015, cover price $90.00 | About this edition: The Environmental Moment is a collection of documents that reveal the significance of the years 1968-1972 to the environmental movement in the United States. 9780295991818 | Univ of Washington Pr, March 29, 2012, cover price $19.95 | About this edition: The Environmental Moment is a collection of documents that reveal the significance of the years 1968-1972 to the environmental movement in the United States. 9780295996295 | Univ of Washington Pr, July 16, 2015, cover price $90.00 | About this edition: In its infancy, the movement to protect wilderness areas in the United States was motivated less by perceived threats from industrial and agricultural activities than by concern over the impacts of automobile owners seeking recreational opportunities in wild areas. 9780295996387 | Univ of Washington Pr, July 16, 2015, cover price $90.00 | About this edition: Whidbey and Camano, two of the largest of the numerous beautiful islands dotting Puget Sound, together form the major part of Island Country. 9780295996073 | Univ of Washington Pr, July 16, 2015, cover price $90.00 | About this edition: Water and land interrelate in surprising and ambiguous ways, and riparian zones, where land and water meet, have effects far outside their boundaries. 9780295995984 | Univ of Washington Pr, July 16, 2015, cover price $90.00 | About this edition: Winner of the Forest History Society's 2006 Charles A. 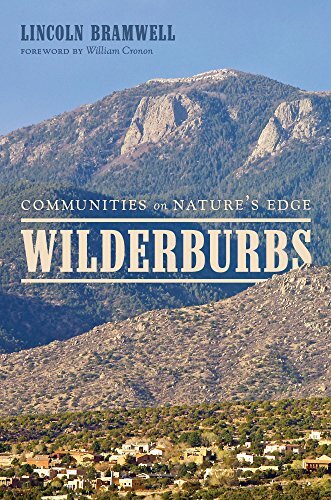 9780295996080 | Univ of Washington Pr, July 16, 2015, cover price $90.00 | About this edition: Across the inland West, forests that once seemed like paradise have turned into an ecological nightmare. 9780295996288 | Univ of Washington Pr, July 16, 2015, cover price $90.00 | About this edition: The once denuded northeastern United States is now a region of trees. 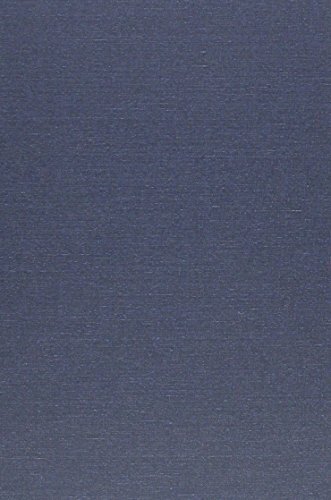 9780295992082 | Univ of Washington Pr, September 24, 2012, cover price $50.00 | About this edition: The once denuded northeastern United States is now a region of trees. 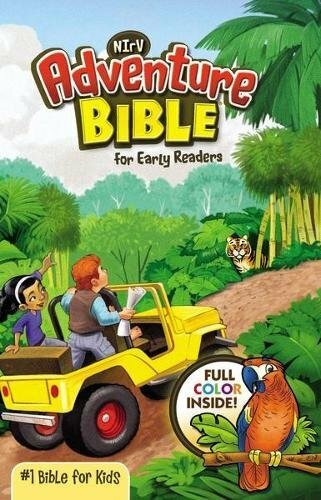 9780295993317 | Univ of Washington Pr, July 25, 2013, cover price $19.95 | About this edition: The once denuded northeastern United States is now a region of trees. 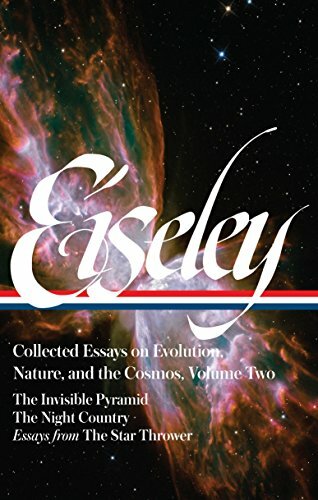 9780295995793 | Univ of Washington Pr, July 16, 2015, cover price $90.00 | About this edition: The human impulse to religionâthe drive to explain the world, humans, and humans' place in the universe â can be seen to encompass environmentalism as an offshoot of the secular, material faith in human reason and power that dominates modern society. 9780295996219 | Univ of Washington Pr, July 16, 2015, cover price $90.00 | About this edition: Landscapes of Promise is the first comprehensive environmental history of the early years of a state that has long been associated with environmental protection. 9780295995830 | Univ of Washington Pr, July 16, 2015, cover price $90.00 | About this edition: Irrigation came to the arid West in a wave of optimism about the power of water to make the desert bloom. 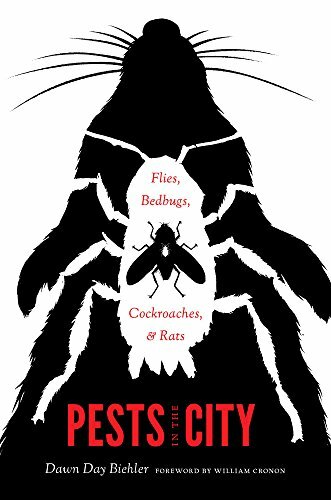 9780295994826 | Reprint edition (Univ of Washington Pr, January 28, 2015), cover price $24.95 | About this edition: From tenements to alleyways to latrines, twentieth-century American cities created spaces where pests flourished and people struggled for healthy living conditions. 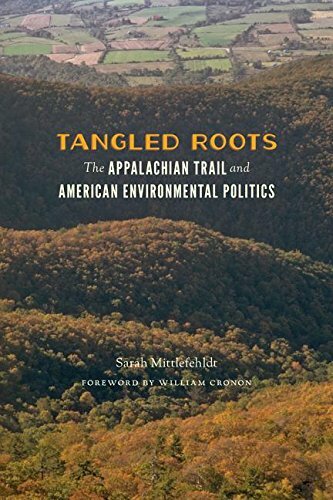 9780295994307 | Reprint edition (Univ of Washington Pr, August 5, 2014), cover price $24.95 | About this edition: The Appalachian Trail, a thin ribbon of wilderness running through the densely populated eastern United States, offers a refuge from modern society and a place apart from human ideas and institutions.